"My eyes filled with tears and I choked out the words, 'I could never separate them.'" 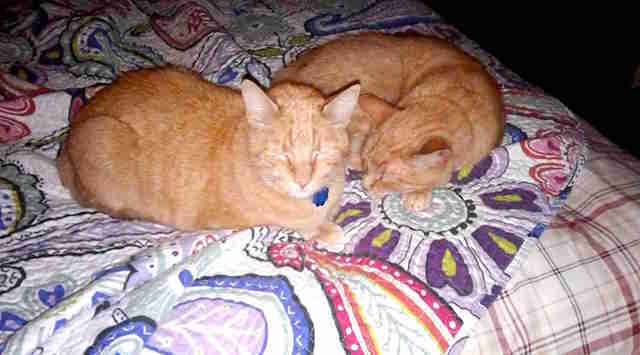 Mary and Steve Fultz already have a 10-year-old orange tabby cat they adore. "Many of my wonderful Facebook friends love cats, and tolerate my almost daily pictures of our boy Morty," Mary told The Dodo. 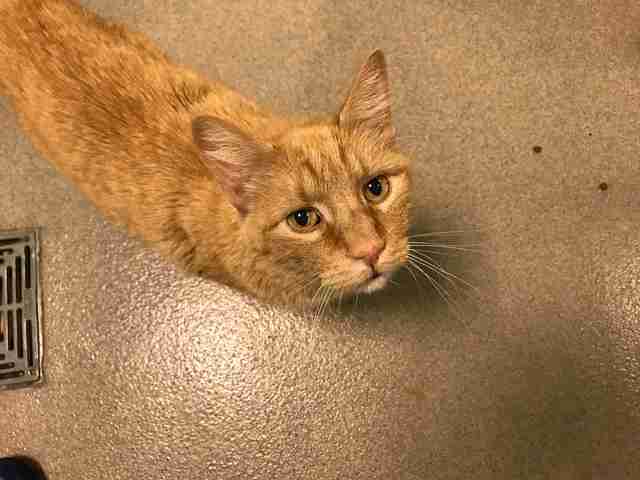 Then, earlier this month, one of Mary's friends sent her a photo back — it was of two orange tabby cats at the Fredericksburg SPCA in Fredericksburg, Virginia. 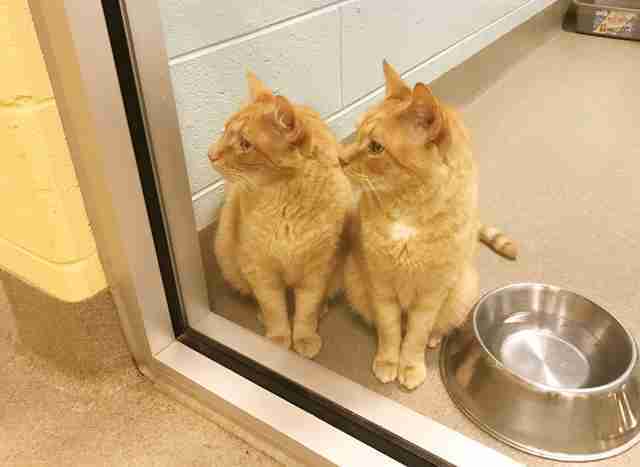 Mary hadn't necessarily been looking to adopt another cat, but: "These boys had me at 'hello,'" Mary said. 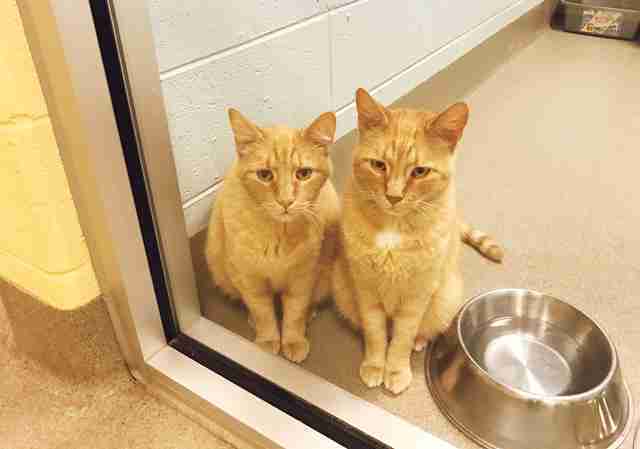 Fez and Kelso are 12-year-old brothers who have lived together their entire lives. 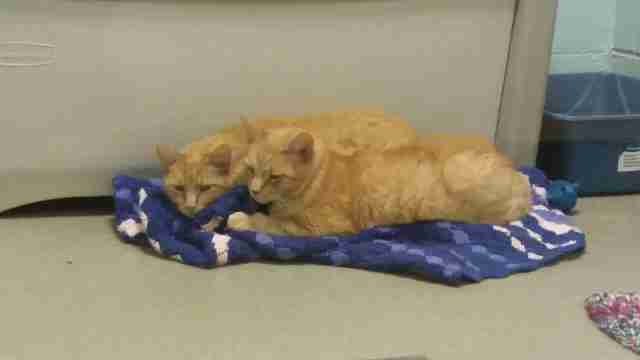 When their owners had to move away, they were left behind at the shelter and their future together became uncertain. 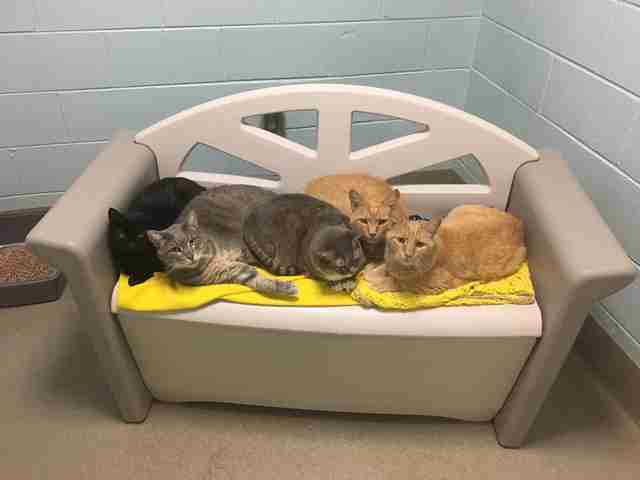 While the brothers socialized well with the other cats at the shelter, they were clearly disoriented, if not heartbroken, after losing their home. But Mary and Steve were on their way to save them. 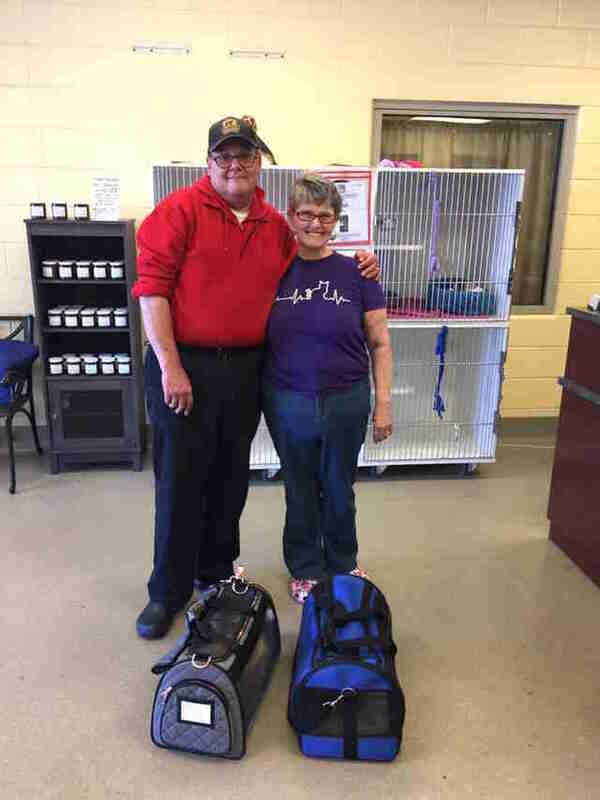 "We never pictured ourselves as a three-cat family, yet my husband Steve and I agreed that we needed to adopt both because they were brothers," Mary said. "When I got to the SPCA and told them I wanted to adopt them, they asked, 'Are you sure you want them both?' My eyes filled with tears and I choked out the words, 'I could never separate them.'" 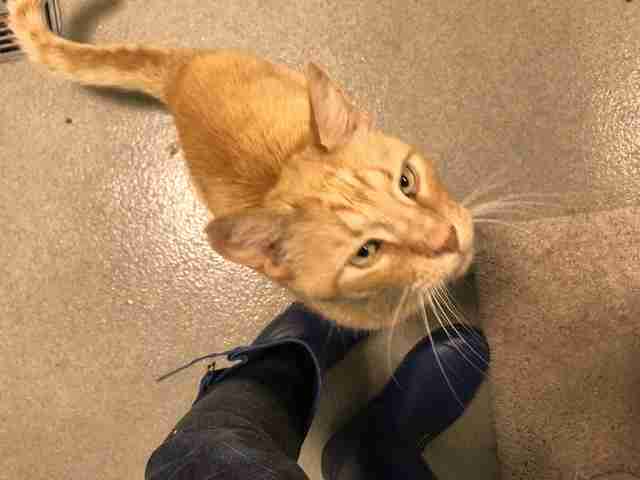 "Of course Morty has his whiskers out of joint, but they are adjusting," Mary said. "I hope others will consider older cats," she added. "It's a bit harder adjusting to more litter boxes, food and toys, but I would do it again in a heartbeat." 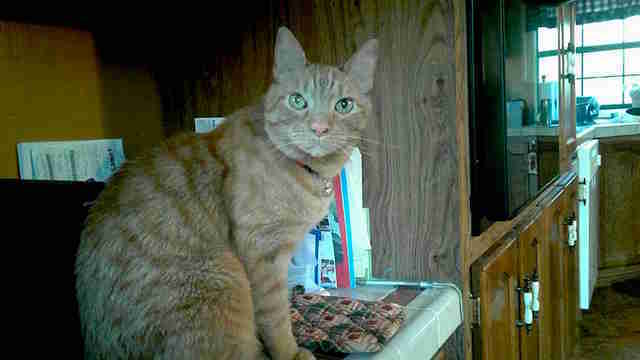 If you are considering getting a cat, try adopting one who's a little older — they have just as much love to give. 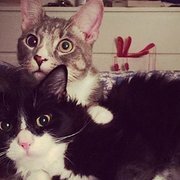 To help the Fredericksburg SPCA save more animals like Fez and Kelso, you can make a donation.